If you require metals to be shaped to an exact measurement using a quick and efficient method, then consider Ri-cal Improvements. 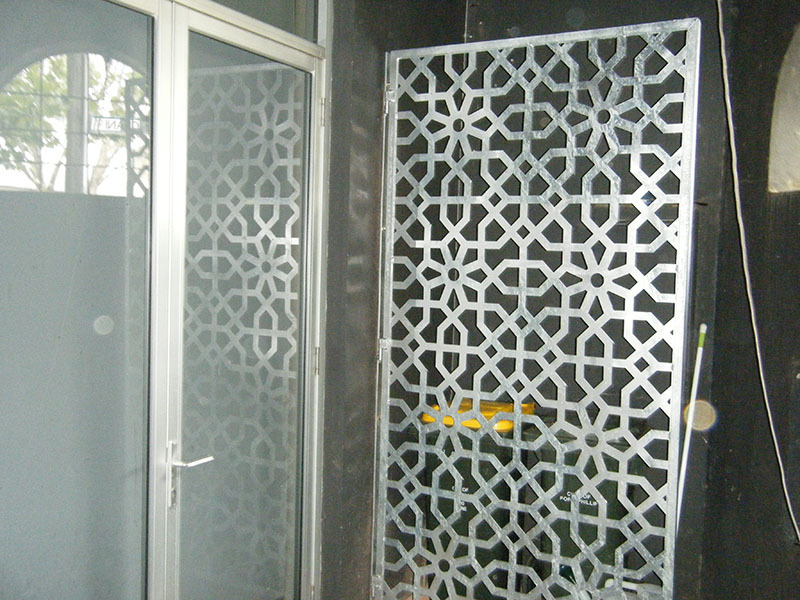 We offer Laser Cut metal screens and other laser cut designs in Melbourne that allow for complete customisation of your metalwork project. Simply put, we use a projected laser to cut and shape metallic materials for the purpose of metalworking and architectural fabrication. We have been using this method for many years with great success and can create a wide variety of design solutions for you. We are equipped to handle projects of any size, and no matter how large or small, our laser cutting service will provide the same high standard results every time. We can simply cut the metal for you, or we can also design it into a certain shape. We work with you during the design process to offer any suggestions or advice, or alternatively, implement your own designs as requested. We have been in the industry for over 20 years, and during that time we have worked hard to establish ourselves as reputable supplier of fabricated metal. Whether utilising our Laser Cut designs or welding services, our customers have come to expect a high level of services when they hire Ri-cal Improvements and we strive to meet those expectations every time. We also offer metal street furniture and retail displays, so please feel free to click on the provided links if you’d like to learn more. All of our services have the same consistent high standard and customer service that has formed our successful reputation. If our Laser Cut services in Melbourne sounds like what you require, please give us a call on and let’s discuss specifics. Our friendly staff will also be happy to offer an obligation free quote if necessary.